A number of selected, nonliving, inactivated materials of biological origin, such as algae, bacteria, and their products, have been screened for their ability to adsorb metals from a solution. Different biomass types exhibited different performance for the metal species tested. 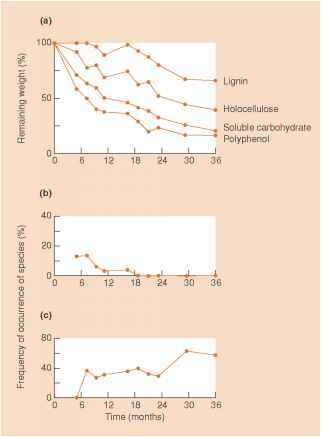 The pH for the test solutions also influenced biomass adsorption performance (see Table 3.8.4).